Read the details of WOW air's collapse here. On its website, WOW has advised passengers that have booked with it to "check available flights with other airlines". "Some airlines may offer flights at a reduced rate - so-called rescue fares - in light of the circumstances," it says, adding that "information on those airlines will be published, when it becomes available". "If you did not purchase your ticket as part of a package, you are advised to self-repatriate by booking directly with other airlines," adds the Commission for Aviation Regulation (CAR). 'Rescue' or repatriation fares are voluntarily provided by airlines when a carrier goes bust - they are aimed at helping a situation, so should be reasonably priced. Norwegian has also said it will offer "repatriation fares" from tomorrow, set at a 25pc discount off net economy fares. 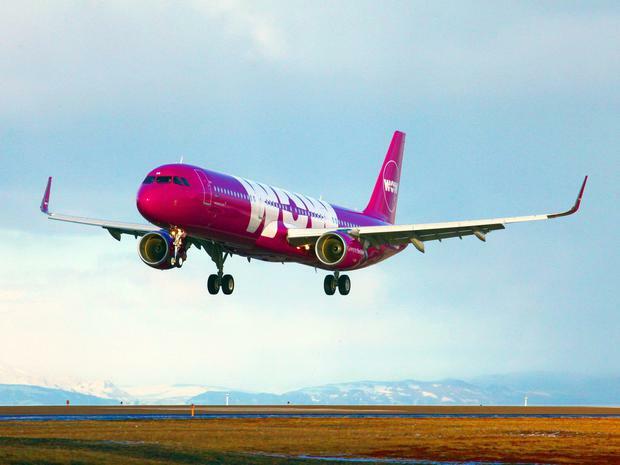 The fares will be available to April 8 to customers that can show a valid WOW air booking on certain routes. If you booked your flights using a debit or credit card, your first step should be to contact the card provider - chargeback options exist to allow you to reverse a transaction if there is a problem with the purchase. If you booked your flights through a travel agent or tour operator, you should contact them directly now - package holidays are protected precisely for reasons like this, but agents should also be able to help you with any re-routings. "Passengers who may have bought travel protection, or those passengers whose credit card terms may include such protection, may be entitled to claim compensation and assistance due to delays or travel disruption," WOW has said. If you booked directly with WOW, however, you may not be able to claim added compensation - as is usually the case when airlines cancel flights cancel flights for reasons like weather events or industrial action. If you have 'scheduled airline failure' cover on your policy, you will be able to claim, but not all policies offer this as standard. It's best practice in situations like this to call your insurer off the bat, keep a note of details, and keep hold of receipts (see below). Yes, for this case - but it's always a good idea for the future. Bear in mind that receipts should be for "reasonable expenses". A five-star hotel or Michelin Star meal may not be a reasonable expense! Pól Ó Conghaile Sunset is particularly sweet on Prague's Charles Bridge.